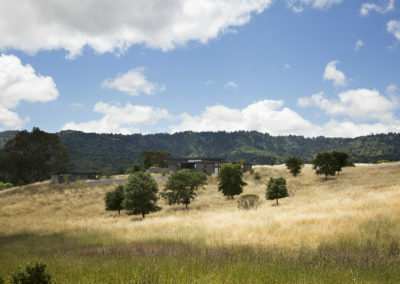 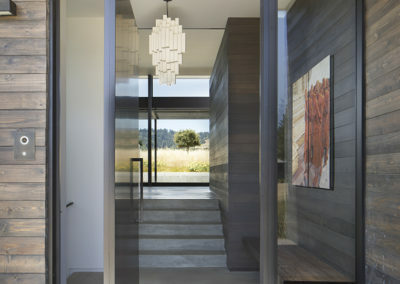 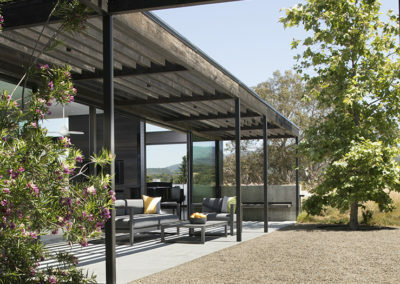 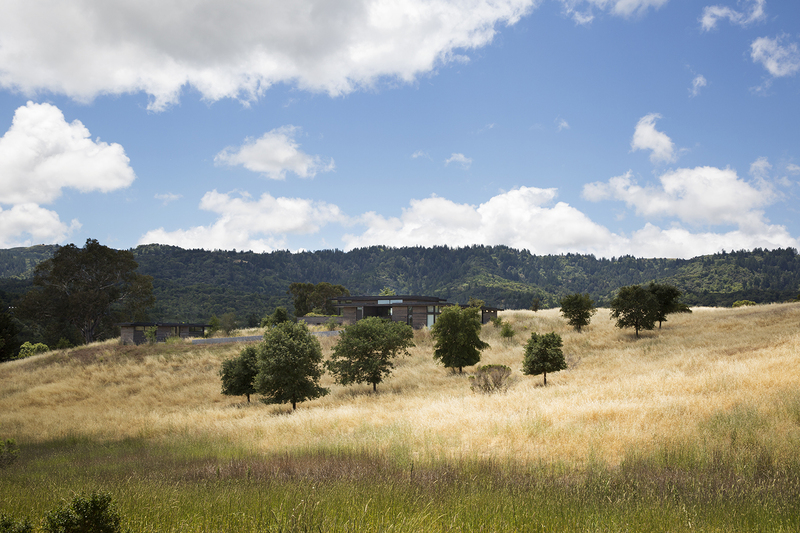 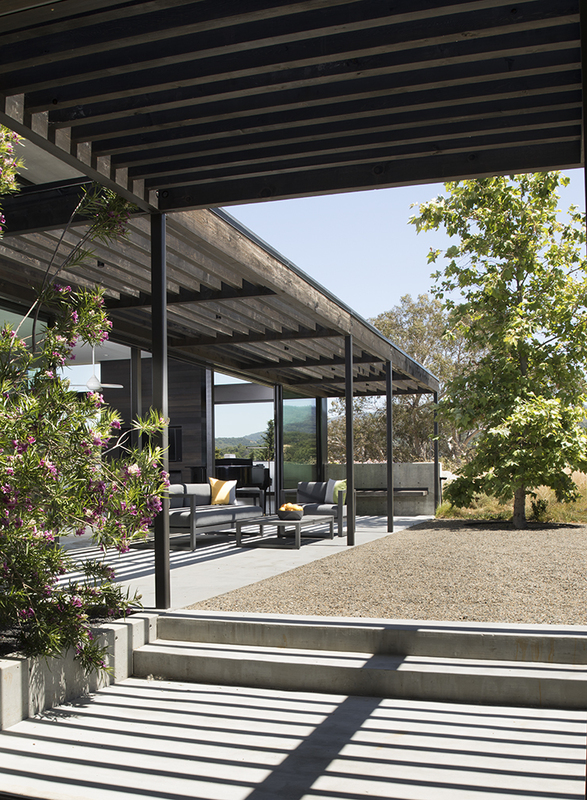 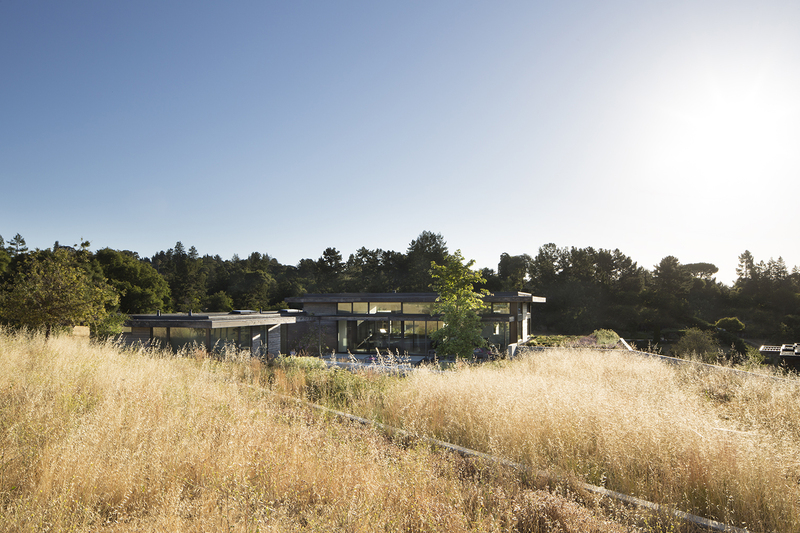 The design team for The Meadow Home was inspired by prominent views and beautiful slopes to build a structure on to the landscape to minimize its massing on the originally undeveloped site. 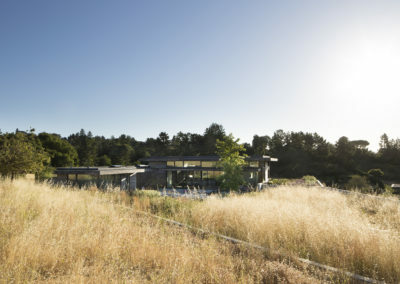 The home’s L-shaped layout lies low on the brow of a grassy knoll, placed gently into the ground, matching the contours of the hill. 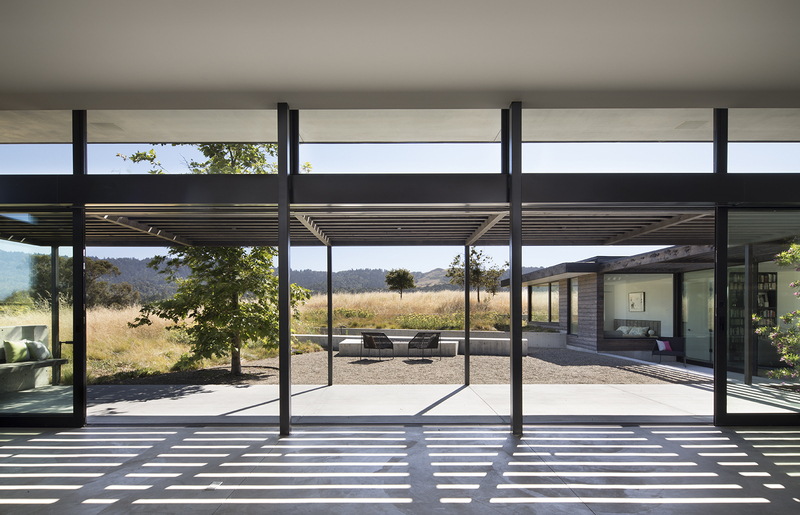 The home’s main wing boasts a spacious joint kitchen, dining room, and living area whose floor-to-ceiling glass doors and windows open to reveal an expansive patio. 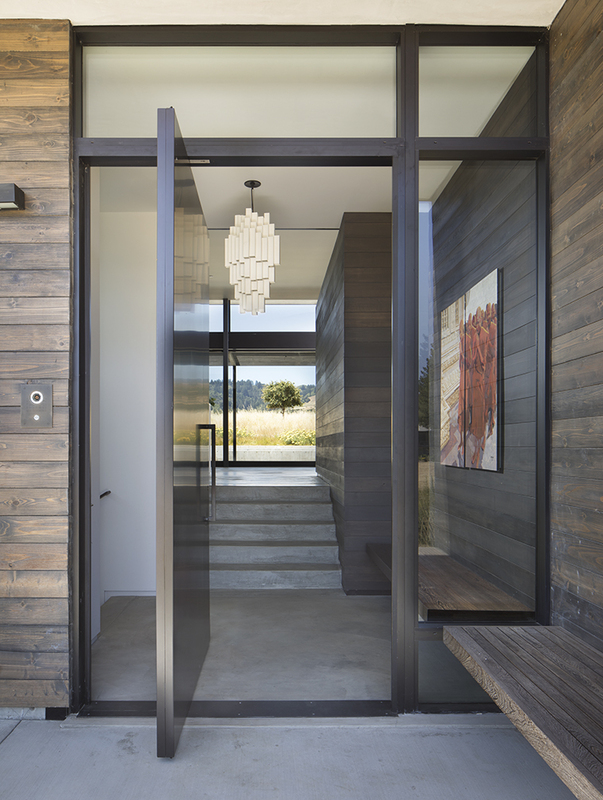 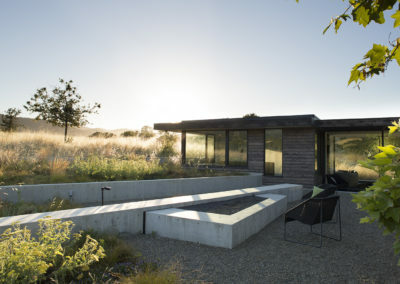 The home is at once opened to the surrounding landscape and views of the encompassing prairie, seamlessly merging interior and exterior spaces. 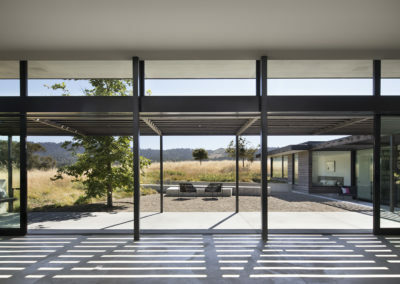 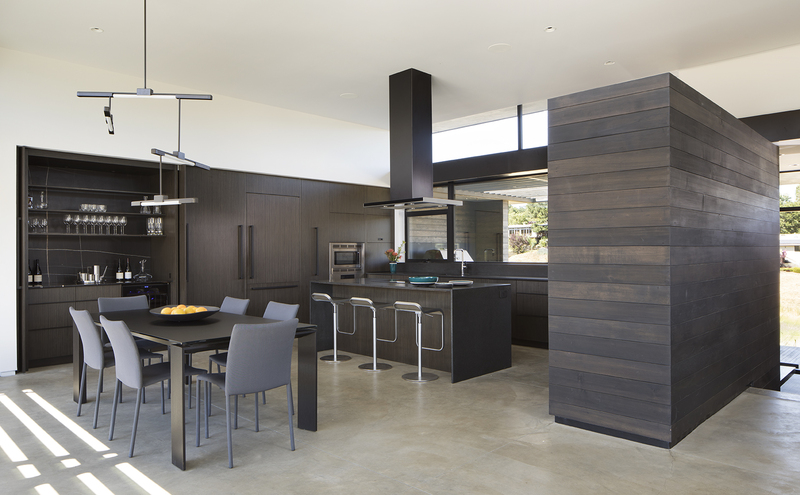 Splayed concrete walls, diminishing in height as they approach the house, direct the gaze to Windy Hill sitting on the western horizon. 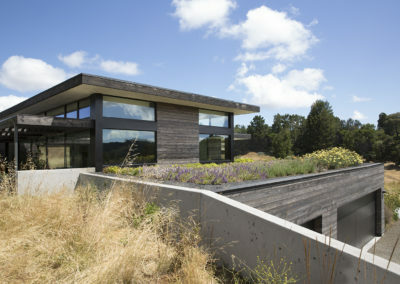 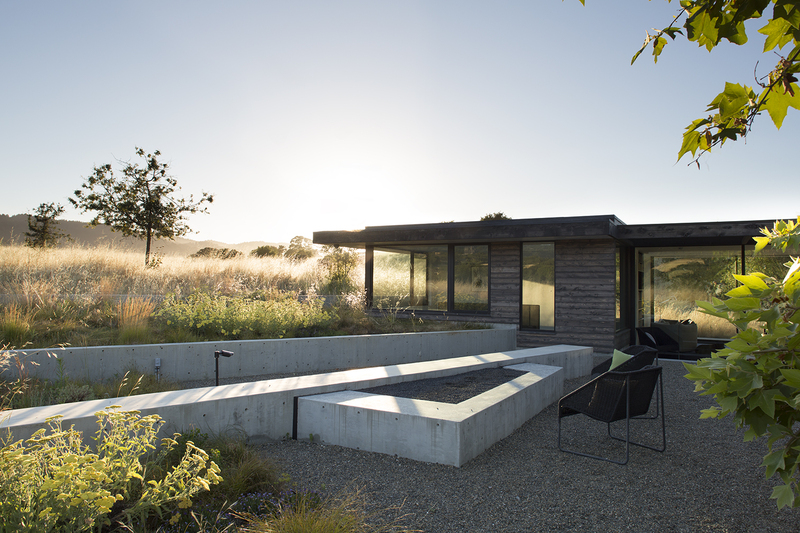 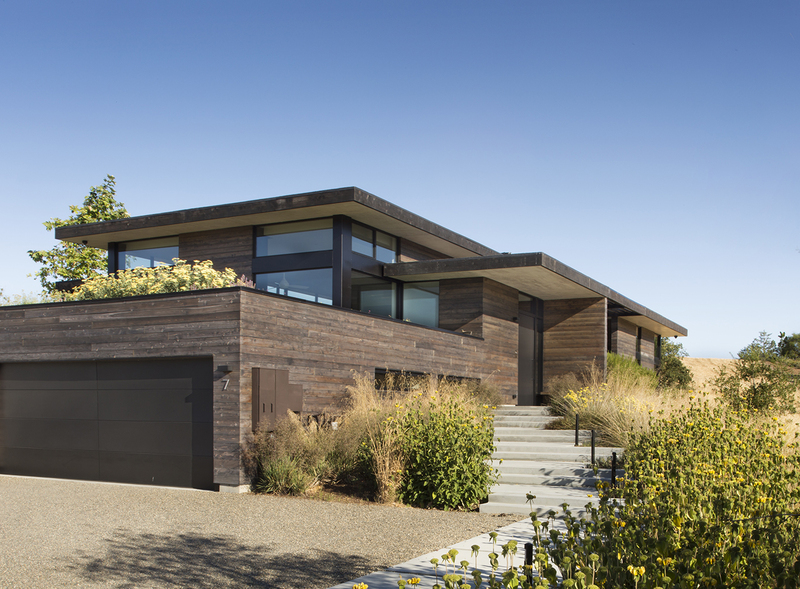 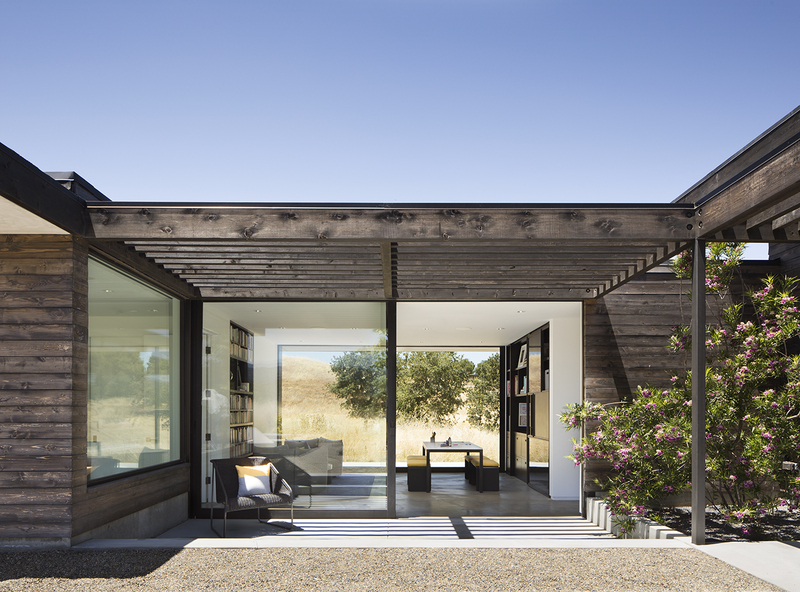 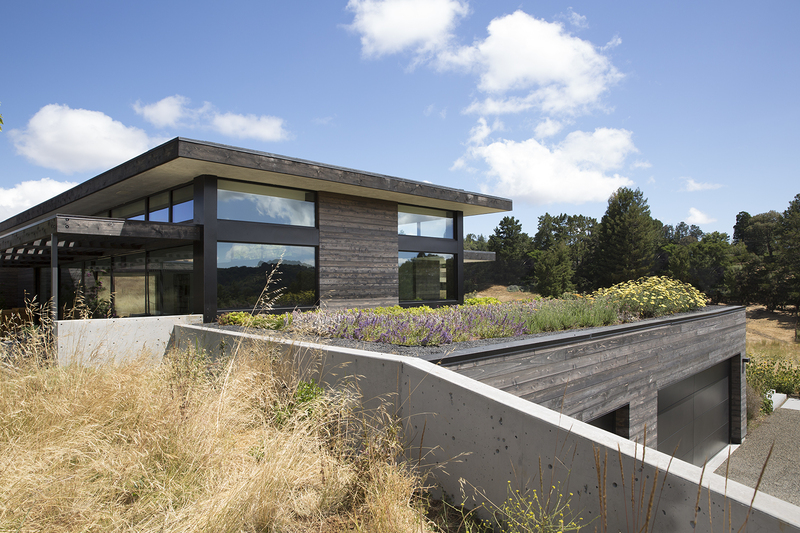 The site moves unimpaired through and over the home; a green roof atop the garage acts as an extension of the surrounding prairie, while visually permeable rooms allow the meadow to continuously flow through the home. 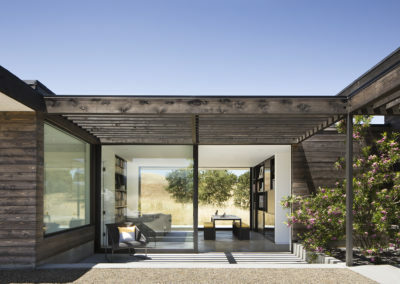 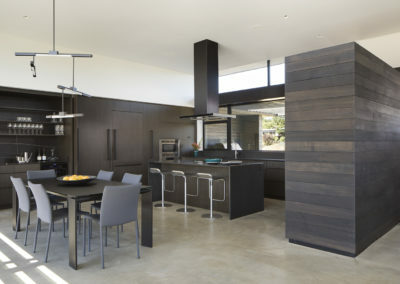 The house’s cedar siding, stained a warm grey and complimented by the crisp horizontal lines of the black roof, further embeds the house in its natural surroundings and strikes a beautiful balance between rural and distinctly modern aesthetics.